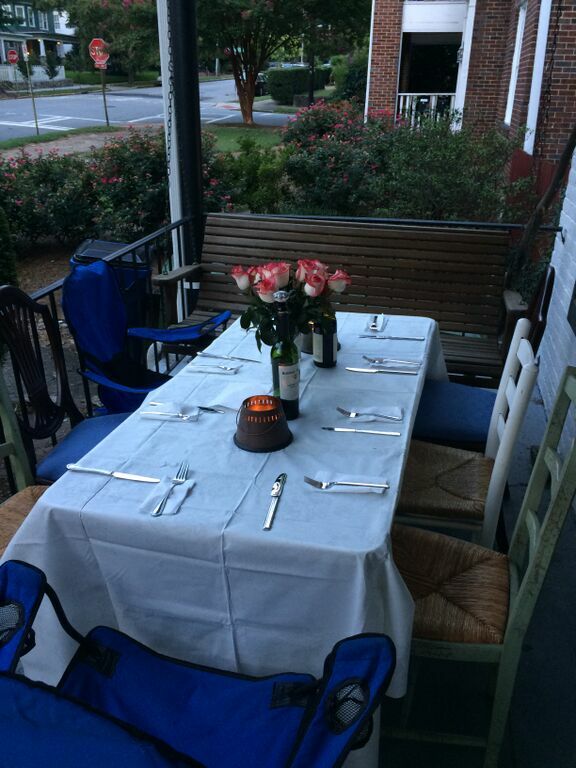 My college friends and I are all approaching our twenty-fifth year this year, and I find this dinner party an appropriate step-up to be a half-century old. I love entertaining and am always on the hunt for a good themed dinner or party, so any excuse to serve slow-cooked meat is on my radar. My roommates and I moved in together earlier this summer and wanted to bring our old and new friends together to get to know each other better, make new friends, and have any excuse to talk all things girl talk. 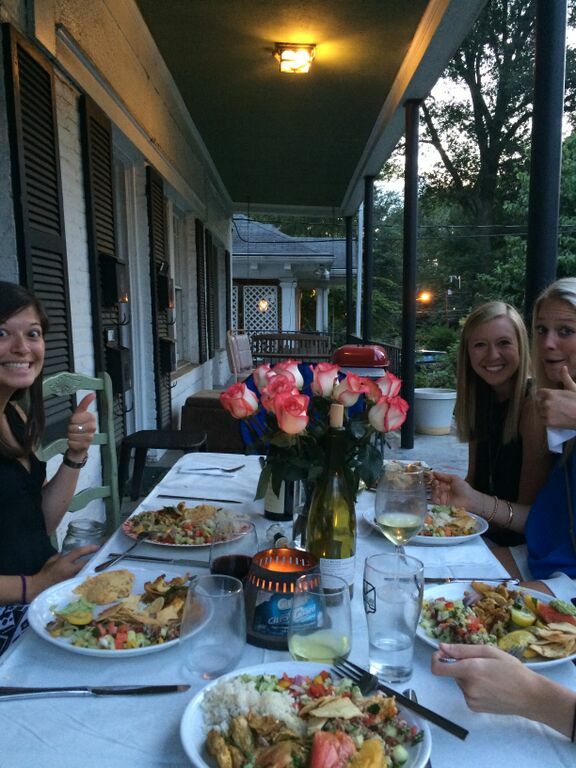 Thanks lovely ladies for making this a special evening and for the delicious sides!! 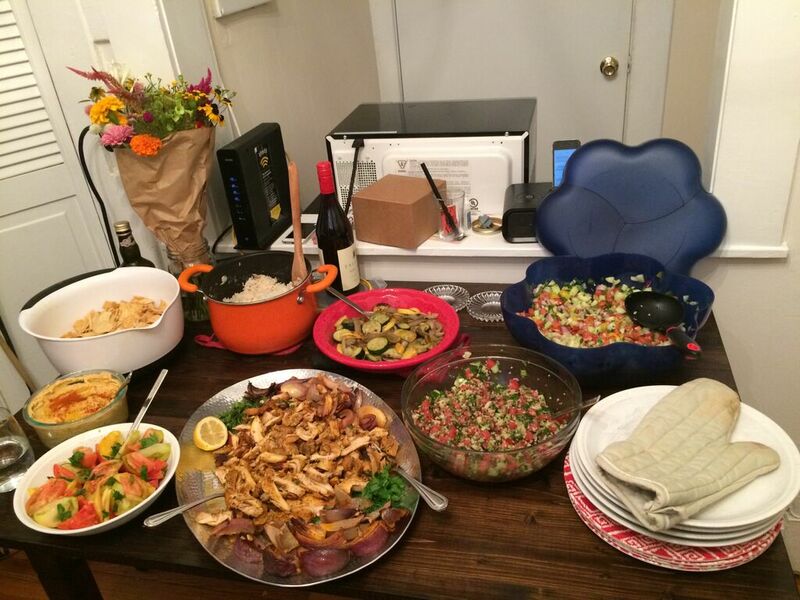 Our friend Caroline made green goddess hummus, Julia made a quinoa tabbouleh salad, Kate brought an amazing Israeli salad, Wesley brought yummy wine, Jess brought traditional hummus, Kelly made the beautiful settings along with contributing delicious wine. All my roommate Kelley and I had to do was make veggies, rice, and chicken. Before I get into the recipe, let’s talk life lately. I recently went on a wonderful retreat with a church near me. A thoroughly reflective experience, the retreat also offered an old-fashioned “compact disc” for us to listen to the songs featured on the retreat. There’s one song in particular that has stuck with me called “Beauty for Ashes” by Chris Mclarney (listen!). Now I’m in the camp that likes catchy songs and sometimes I don’t pay attention to all the words, so for about two weeks, there was this one verse that I kept glazing over. I kept thinking he was saying “you turned my morning into dancing,” and thought, wow, what a great pick me up for a hard day. YES, God, you turn my mornings into a dance through life. You get up and get to work harnessing the gifts God gave you to invest in the world around you. I thought that was such a beautiful metaphor. So, as it turns out, he’s saying “you turned my MOURNING into dancing.” Equally as beautiful, but definitely a completely different meaning. What do you think, mourning or morning? Ramona Quimby had some similar experiences growing up – did you guys reach Ramona Quimby, Age 8? Ramona thought that in the national anthem, it said “by the dawnzer’s lee light” instead of “by the dawn’s early light.” She proceeded to ask her mother to turn on the “dawnzer,” and her mom had to explain that dawnzer is actually not another name for a lamp!! Sometimes we’ve all got a little Amelia Bedelia or Ramona in us, right? As I’ve been dancing through mornings the past couple weeks, I’ve also been reminiscing on this wonderful dinner party! I think this is a great dish for you to try entertaining with because it’s pretty hands off when you want to start prepping and saying hi and pouring drinks. The gist is: marinate chicken, bake chicken, chop into pieces right before serving, garnish with lemon/herbs. I ended up adding rice on the side but you could easily just do store-bought pita bread. Marinate chicken in the morning: Whisk lemon juice, 1/2 cup olive oil, gahhhlic, salt, pepper, cumin, paprika, turmeric, cinnamon and pinch of red pepper flakes together in a large bowl. Put chicken in freezer bags and pour the marinade over the chicken in the bags. Press as much air out of the bags as you can, seal, and swish the marinade all around the chicken to make sure it’s distributed evenly. Put the bags on a plate in your refrigerator at least an hour and up to 12. When you’re ready to cook, take the chicken out of the refrigerator about 30 mins – 1 hr before ready to cook to bring the chicken to room temperature. Preheat oven to 425 and take a break from doing your hair to grease a large rimmed baking sheet or 9×13 pan with a bit of olive oil. Add quartered onion to the marinate in the bags and swish around again. Remove chicken and onion onto the sheet pan, spread out, and bake for 30-40 minutes. 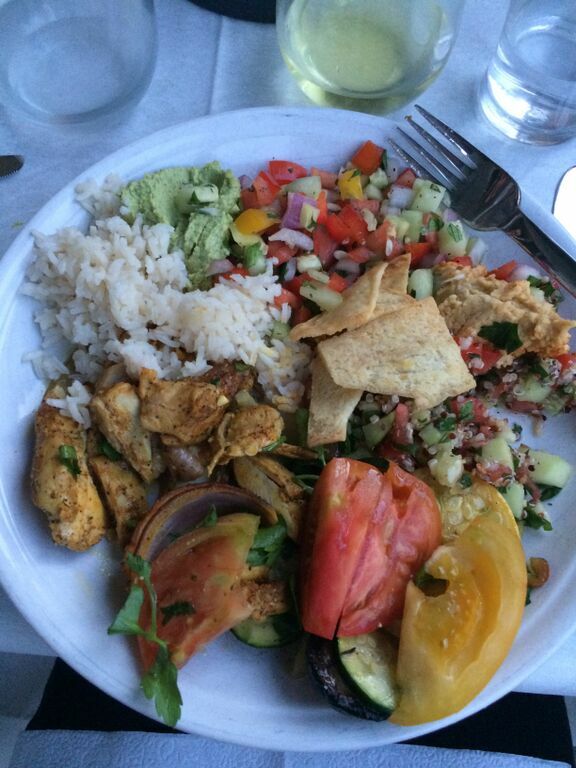 At this point your guests are here, you’re pouring wine, chatting over One Direction, and ready to EAT! Once the chicken is ready, take out of the oven, let rest for 2 minutes and cut into thin strips. Serve alongside lemon slices and top with parsley. Bon appetit! Boil water and rice together in a large saucepan. Add salt, cardamom, cinnamon, and cloves. Once boiling, turn heat down so the mixture is at a slight simmer and cover. Cook according to package timing. Once cooked, fluff rice and take out cinnamon sticks, whole cloves, and cardamom pods. Serve on the side of chicken!